illustrations of Peppa Pig and George on white backgrounds filled with sweets and treats in an alternating pattern. 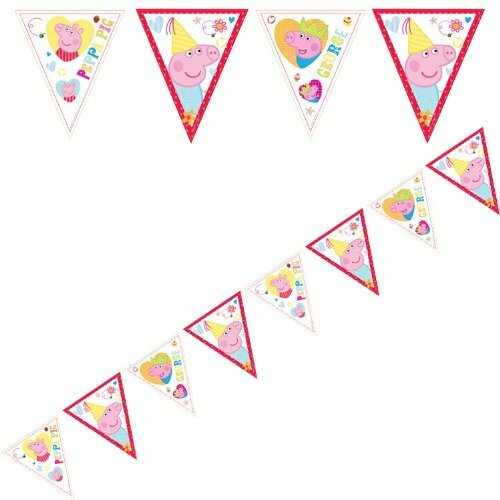 Peppa Pig Bunting A string of plastic Peppa Pig bunting holding 12 flags measures 12 ft to give plenty to decorate your party room ! Multiple Peppa Pig designs on plastic triangular shaped bunting. Co-ordinate with other items from the Peppa Pig range. A great decoration for a Peppa Pig themed party.